Would you know what to do if someone was having a stroke or heart attack? Do you know the signs and symptoms of heat exhaustion or hypoglycemia? Learn about these things and more when you register for first aid training with Edmonton First Aid. This training provider has been offering a wide range of courses including standard, emergency and childcare first aid. A number of on-line safety courses are also available including WHMIS, TDG, MSDS, fire safety, confined space entry and more. Food safety certification, private infant CPR, BLS, ACLS and pet first aid are also popular courses available with Edmonton First Aid. Visit the Edmonton First Aid website through here. You can view a complete list of classes and schedules on the site. Use the contact information provided below to register for a course with this training provider. How To Contact This Alberta Provider? Check out the following contact information to get in touch with this provider. They are available from 8am to 6pm everyday! The training centre is located in Old Strathcona nearby the University and Hospital. It is minutes away from Whyte Avenue and has plenty of parking and nearby amenities. Trainees can enrol using the application form on the website, or through e-mail or telephone calls. Walk-ins during business hours at the training centers are also highly encouraged. Adult and pediatric bag valve masks used in CPR and AED training courses. Edmonton First Aid offers trainees with the opportunity to sign up for lessons at various schedules throughout the week, including evenings and weekends. 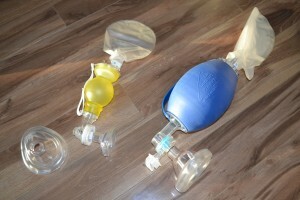 CPR/AED training courses are available in three levels: “A”, “C”, and “HCP”. Basic first aid classes cover a variety of situations and their associated first aid skills. A large portion of class hours are spent on honing skills on training mannequins and fellow trainees. Trainees are able to learn top-notch training from workplace approved certified instructors. Private classes are available to big groups of trainees such as companies. Refresher courses for renewal of expiring certificates are available four times per week. 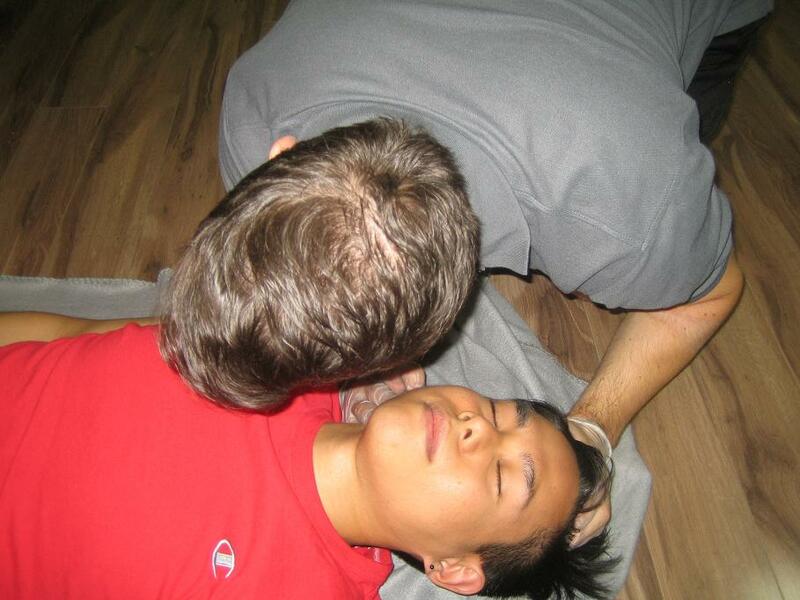 Checking for breathing of an unconscious victim. Edmonton First aid provides the least expensive prices for all offered classes. Rates are inclusive of taxes, certificates, workplace approved registration fees, training manuals, and equipment. If a trainee is unable to complete the course, he or she is entitled to a full refund, provided a 72-hour notice is given. For more course prices or to register use the contact information provided above. Trainees who are able to pass their training class are awarded a workplace approved training certificate for first aid, CPR, and AED, valid for three years throughout Canada. Classes are held in training facilities with the latest training equipment such as AED trainers and mannequins. The facilities are easily accessible by public and private transportation, and are within walking distance to restuarants and shops. The wound will be thoroughly cleaned and antibiotics may be prescribed. Anti-rabies treatment will be recommended if there is a risk of rabies infection. Stitches can be done, depending on how deep the wound is. If the last tetanus shot was more than five years ago, a booster shot might be recommended as well. Ibuprofen or acetaminophen will likely be prescribed for any pain.